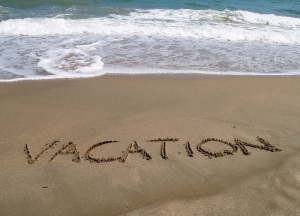 Vacation, staycation, or just having some time off, enjoy your summer. I get busy helping clients just before summer with so many people who want support with a diet plan or those that want to amp up their exercise program before their vacation. Then they go crazy in a buffet line or at the bar and return home with the post vacation belly blues. Don’t let the vacation belly blues cloud your memories of a great time away! Eat before you go to the airport and pack some snacks. If travelling by car, pack your cooler bag so you are not stopping for quick eats on the highway. Not only will you have better control on your nutrition, it will also save you money that can be better spent on memories. By Mike van Mil in Uncategorized on 2014/06/24 .